When you are wondering "where can I find an RV rental near me or a camper rental near me," it means that you're ready to hit the road. You want to experience everything that Nevada has to offer tourists as well as its residents. You don't have to be from outside the state to start enjoying the beautiful scenery and all the attractions this fantastic place has to offer. From the Hoover Dam to Lake Tahoe to the Valley of Fire to Austin the "living ghost town," Nevada is an incredible state with much to offer visitors. 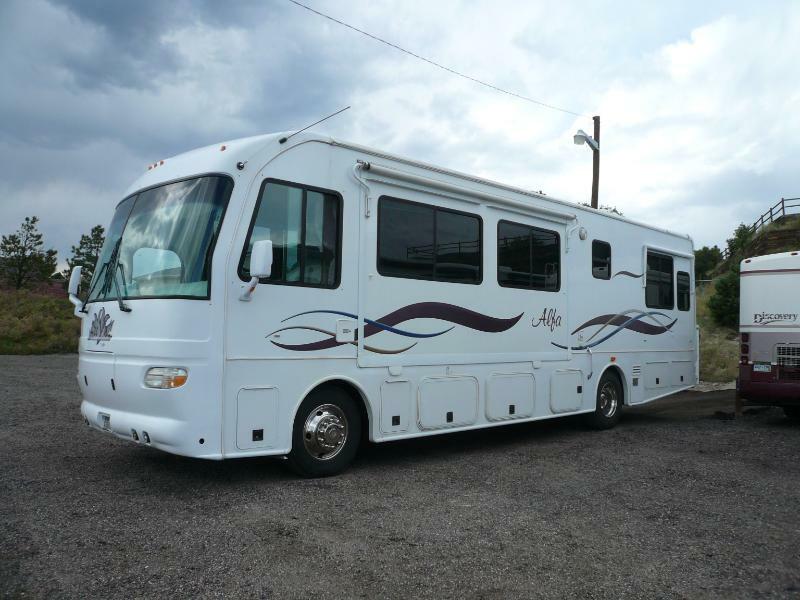 RV rentals in Nevada will give you the freedom to experience its amazing landscapes. Of course, you can't forget the biggest draw in the state, the city of Las Vegas; you can enjoy Vegas in a whole new light with a camper rental vacation. When you rent an RV in Nevada, you're able to save money on your accommodations while enjoying the Las Vegas Strip, fine dining and shopping. Instead of spending money on a hotel room you'll almost never see, you can save with a camper rental in Nevada and use that money to enjoy your stay. When you rent an RV in Nevada, there are several factors to consider when determining the price. Popular seasons always have higher demand, and you'll end up spending more if you decide to rent an RV for a weekend. Better deals can be had during the week, so if you plan on visiting Nevada, consider renting the RV starting on a Monday for extra savings. When it comes to renting an RV in Nevada, the price is driven by special events and conventions instead of seasons, especially in the Las Vegas area. Keep this in mind when you rent your camper or travel trailer in Nevada. Whether you want to visit the Strip, which is the brightest spot on Earth when seen from space, or one of the beautiful natural vistas in the state, you can rent an RV in Nevada inexpensively. You'll need to ensure that you're finding a rental that fits your needs as well as your budget. 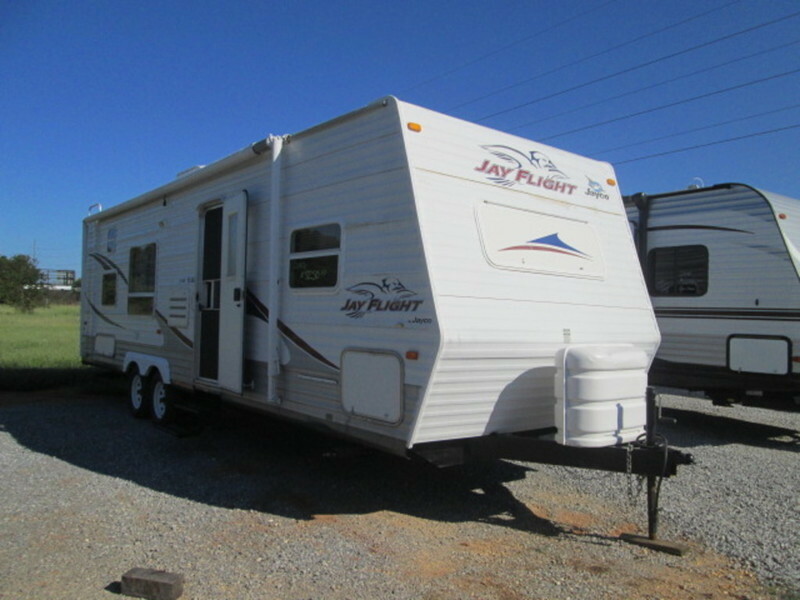 The first step is to determine how many people will need to sleep within the trailer or motor home before renting it. If you have a smaller group, a campervan rental in Nevada may be a good choice for you. 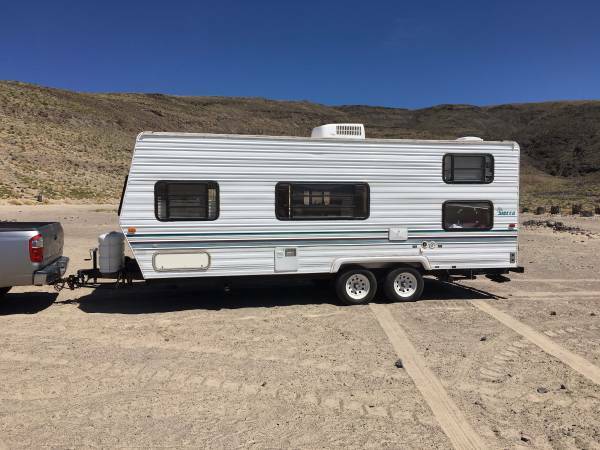 Another more inexpensive option is a travel trailer rental in Nevada that attaches to your car and allows you to enjoy comfortable accommodations when you stop. You can also save with an RV rental in Nevada with unlimited miles. By cutting out extra mileage charges, this can help you save money on the entire trip. This is especially true if you plan on visiting more than one location in this state. 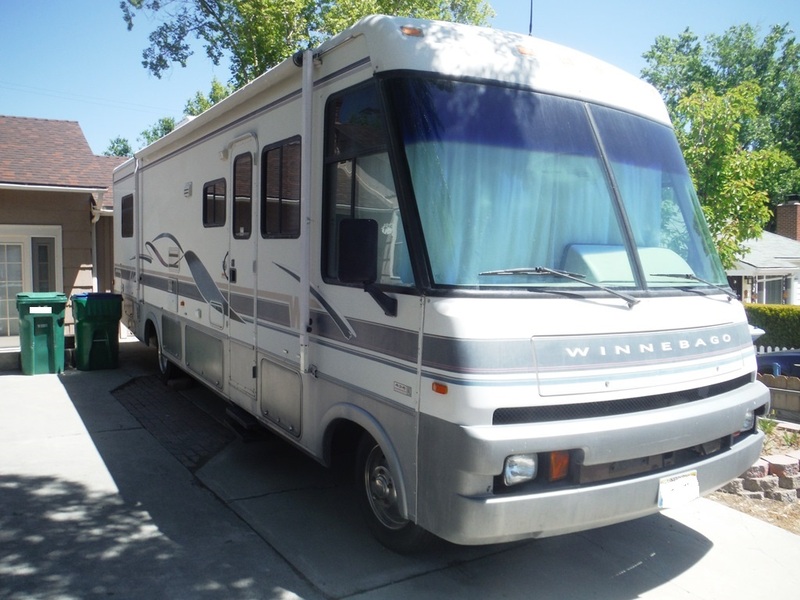 Another option for saving money is a Class B RV rental in Nevada. These vehicles look like a simple van from the outside but afford a comfortable RV experience inside, and they're suitable for a couple or a family with small children. If it's luxury accommodations you're after, you can look into an Airstream rental in Nevada. 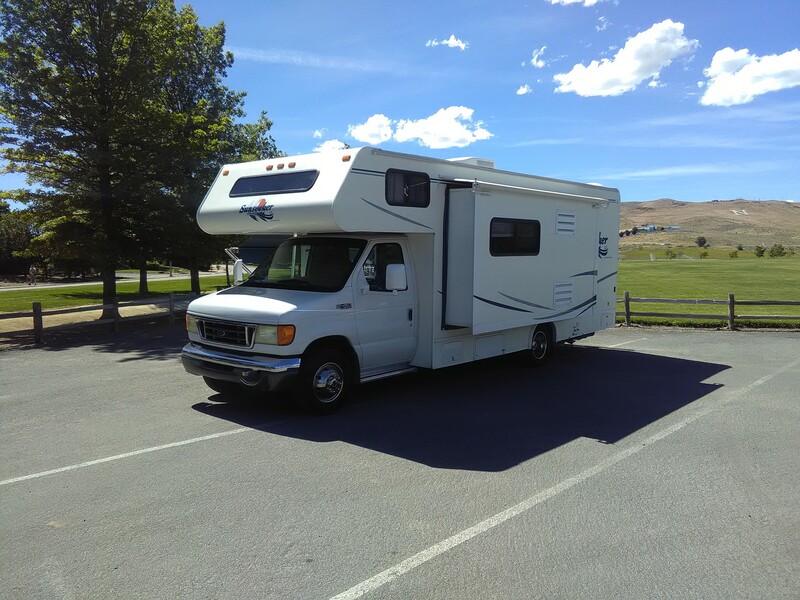 A motor home rental in Nevada can still provide savings over a hotel as well as true closeness to nature and a sense of freedom. 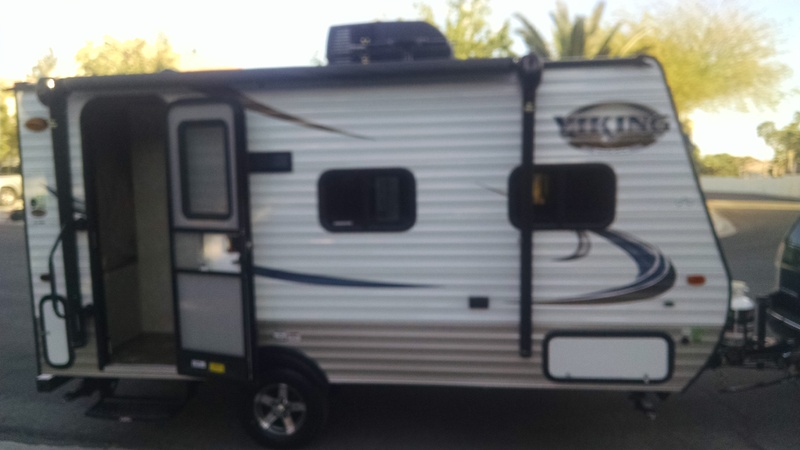 A pop-up trailer rental in Nevada would suffice for your basic needs, but a luxury rental will give you plenty of room and amenities for your vacation. A luxury rental has space for everyone in your party as well as the space to cook entire meals in an incredible kitchen. That's an amenity you're unlikely to find in a hotel unless you rent an entire suite with a kitchenette. You can enjoy a king-size bed, TV and more inside your comfortable RV accommodations. 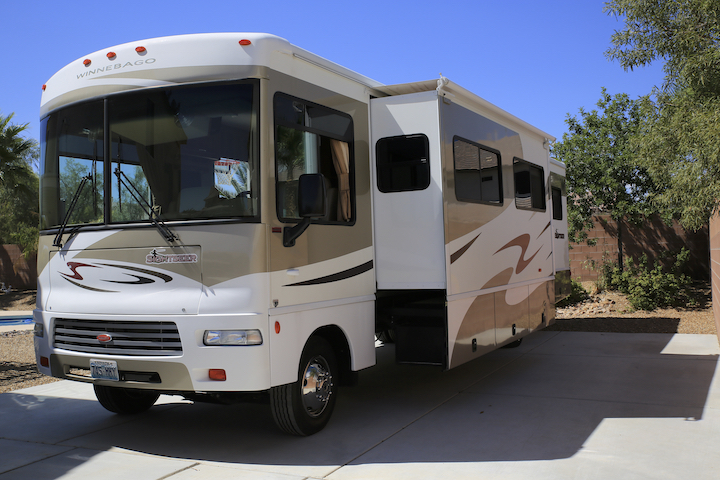 Another great way to rent an RV in Nevada is to arrange directly with an owner to travel in their own vehicle. 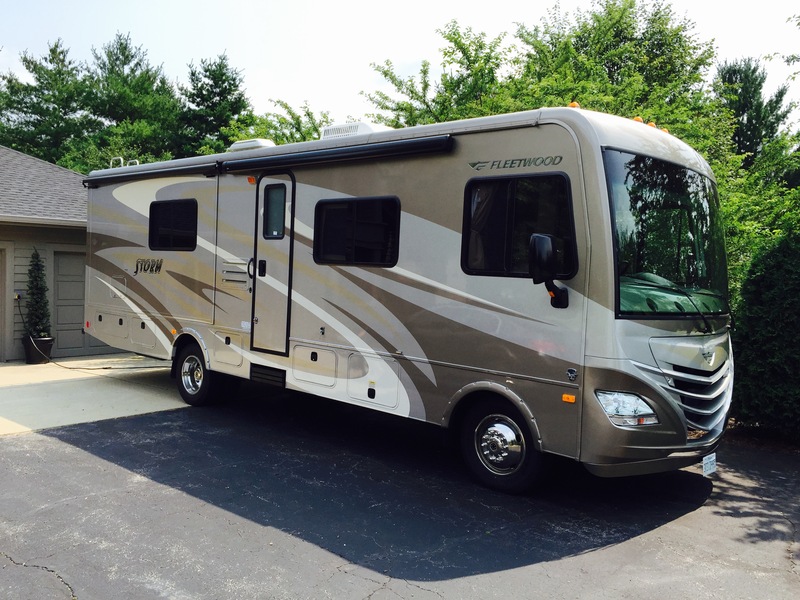 Owners care a great deal for their motor homes, so the RV you rent is likely to be well-maintained. Sometimes, you can even find lower prices by renting directly from an owner who cares for their vehicle. 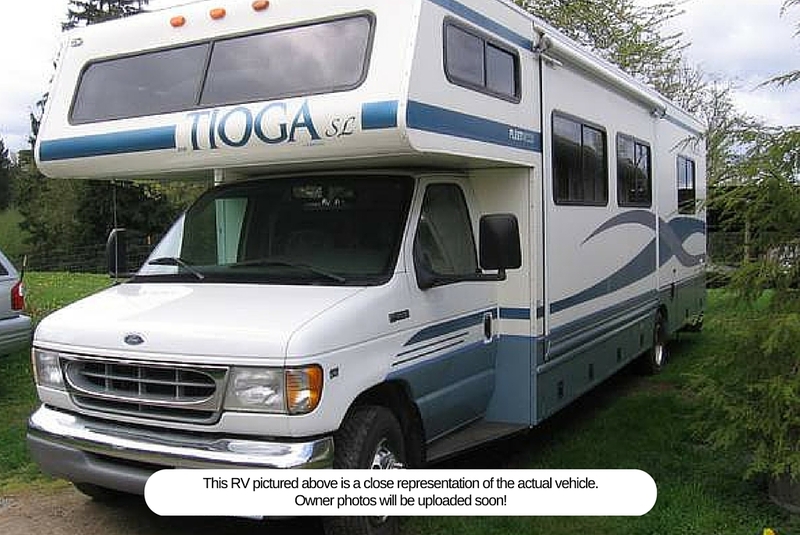 Owners rent out their own RVs when they are not using them. They don't want to spend money to store and winterize the vehicle, so they'll rent it to people who want to enjoy a vacation on the road. 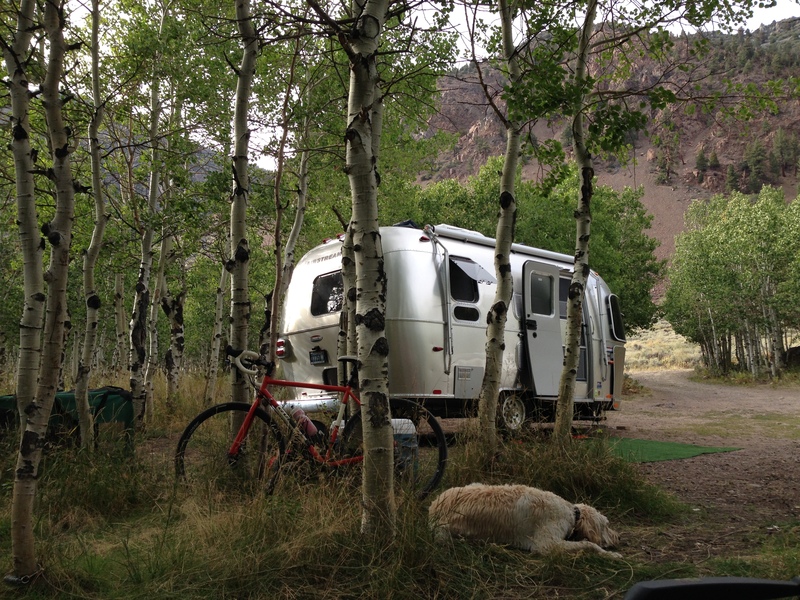 There are a number of great campgrounds to park your RV at as you explore Nevada. While some locations have their own amenities, others have basics on-site like laundry facilities, dump stations and picnic areas. These simple sites are still great places to set up at night and take the RV to other locations during the day. The Nevada Treasure RV Resort allows space to be rented by the day, week or month for longer vacations. You might decide to spend the winter months in Nevada where it's mostly sunny. The resort has an incredible waterfall, pools and Jacuzzi for its guests. There's a fitness center, steam room and massage area to enjoy, too. If you don't want to leave the resort, you can enjoy a putting green as well as a bowling center with a bar and restaurant attached. 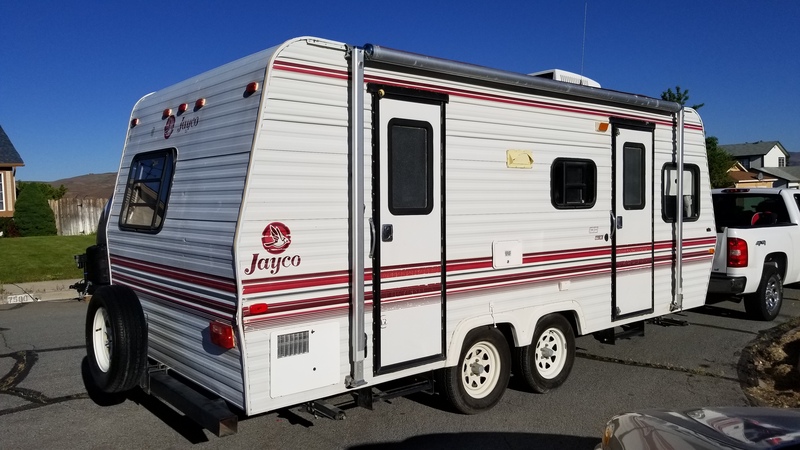 Once you've figured out that you love life on the road, you can invest in your own RV, camper, travel trailer or motor home. In fact, you might want to own one for use throughout the year but place it on an online rental board for others to enjoy when you're not using it. 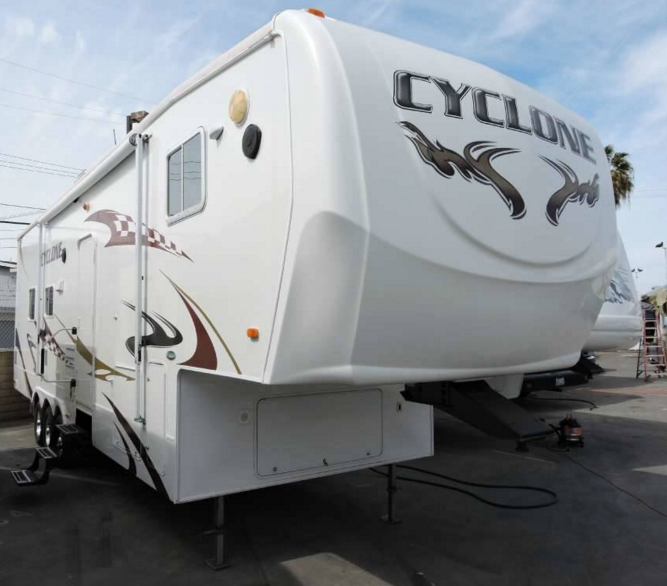 RV dealers have a huge selection of trailers and motor homes as well as Class B vehicles for you to purchase at a reasonable price. If you want to gain even more savings, you can buy a used trailer from an owner who is upgrading or looking for a change.